Comment: Like New New! Mint, works perfectly, comes packaged with all orig acc and retail box. 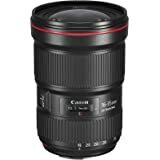 Amazon's Choice for "canon 16-35"
Buy this product Renewed and save $100.00. 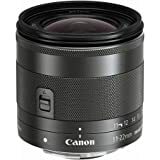 Delivering the ultimate combination of wide-angle, low-light performance, L-series optics and compact construction, the Canon EF 16-35mm f/4.0L IS USM Lens is a phenomenal complement to any EOS SLR camera. This L-series ultra wide-angle zoom incorporates an Optical Image Stabilizer, and offers up to four stops of correction for admirable performance even in dim light. It features three aspheric lens elements and two UD lens elements to minimize aberrations throughout the zoom range, plus optimized coatings to help minimize ghosting. A circular 9-blade aperture delivers gorgeous background blur. The EF 16-35mm f/4.0L IS USM features inner focusing and ring USM for accurate, discreet and speedy AF. 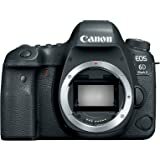 It also offers full-time manual focus and has a minimum focusing distance of 0.92 ft./0.28m across the entire zoom range. Built to function even in unfavorable weather conditions, the EF 16-35mm f/4.0L IS USM is dust-resistant and water-resistant (when used with an optional Canon PROTECT filter) for professional caliber ultra-wide performance, everywhere. Delivering the ultimate combination of wide-angle, low-light performance, L-series optics and compact construction, the new Canon EF 16–35mm f/4L IS USM lens is a phenomenal complement to any EOS SLR camera. 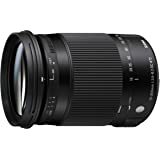 This L-series ultra wide-angle zoom incorporates an Optical Image Stabilizer, and offers up to four stops of correction for admirable performance even in dim light. It features three aspheric lens elements and two UD lens elements to minimize aberrations throughout the zoom range, plus a fluorine coating that helps to minimize ghosting. A circular 9-blade aperture delivers gorgeous background blur. 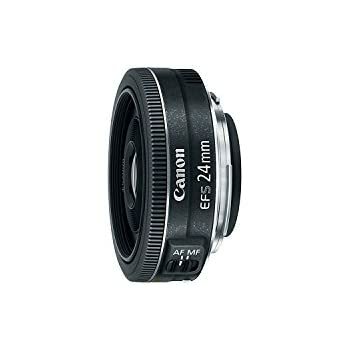 The EF 16–35mm f/4L IS USM features inner focusing and ring USM for accurate, discreet and speedy AF. 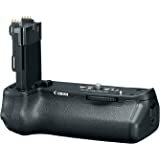 It also offers full-time manual focus and has a minimum focusing distance of 0.92 ft./0.28m across the entire zoom range. Built to function even in unfavorable weather conditions, the EF 16–35mm f/4L IS USM is dust-resistant and water-resistant (when used with an optional Canon PROTECT filter) for professional caliber ultra-wide performance, everywhere. We ship on the same Business Day if the order comes in before 3 PM West Coast Time. All orders are shipped safely with USPS Priority or FedEx. Estimated delivery time is 4-10 working days. (( Serial # 3010003489 - For Insurance & Security Purposes )) Returns are accepted up to 2 days after delivery with a 15% restocking fee and non-refundable shipping costs. We take actual photos of every item we sell. Beautiful and sharp. 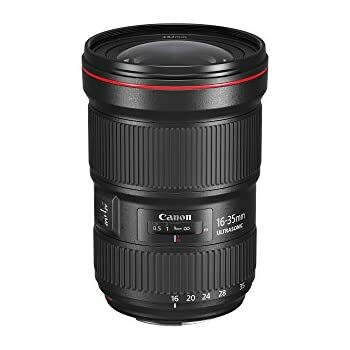 I bought this lens to do landscapes, real estate and portraits. I couldn't be happier. It is sharp from corner to corner, fast to auto focus, and I love the image stabilization. I don't ever do video, but I put it on my 5D Mark IV and did a little video for a music video behind the scenes shoot, and it was awesome. 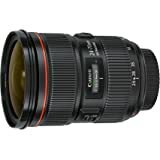 I have owned and used the 16-35mm f/2.8L II lens for several years now. While it is a fantastic lens, I was never thrilled with its performance in the corners for landscapes, which for me was the primary reason for owning the lens. I switched to using the TS-E 17mm f/4L for landscapes and my 16-35mm f/2.8 usually just stayed in my bag - in fact I didn't even bring it along on my last photo trip. Now with the release of this new 16-35mm f/4L IS, my camera bag will always contain an ultra-wide angle zoom lens. I plan on making it my go-to landscape lens, and probably will only use the TS-E 17mm lens when I actually need the tilt or shift. 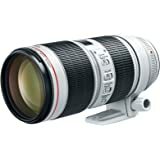 This lens plus a 70-200mm f/4L IS will likely be the only two zoom lenses I carry for photo trips. The image quality is nearly prime like - I see little to no difference in the corners between this lens and the TS-E 17mm (without tilt or shift), even wide-open at f/4. Image quality in the center is fantastic, but the center was never a problem with any of Canon's ultra-wide zoom lens. Corner quality in their other ultra-wide zoom lenses have always disappointed, but this lens reverses that trend, delivering excellent image quality across the frame. 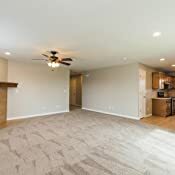 Photos are sharp and contrasty, in the center and in the corners. 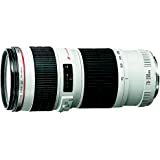 If you are familiar with Canon's other recently released zoom lenses, such as the 70-200mm f/2.8L IS II or 24-70mm f/2.8L II, you can expect similar results from this lens - fantastic. Like most zoom lenses, there is some distortion at the extreme ends of the range - slight barrel distortion at 16mm and pincushion at 35mm, while there is almost none around 24mm. The amount of distortion appears to be similar to the 16-35mm f/2.8L II. Generally I have not found distortion to be a problem photographing landscapes with the f/2.8 lens, so this lens should perform similarly. Distortion can be fixed in software, but usually comes at the cost of a slight crop along with some loss of image quality. The 16-35mm f/4L IS has a 9-bladed aperture, which will result in 18-point stars from specular highlights (such as the sun) when using narrow apertures. The 16-35mm f/2.8L II has a 7-bladed aperture, which results in 14-point stars. Which is preferred is subjective, but generally I prefer more points on specular highlights. More blades on the aperture also improves bokeh ball look when stopped down, but on such a wide angle lens, only photos at the closest focusing distance have a chance of producing any sort of significant bokeh, and will be even less likely when stopped down. 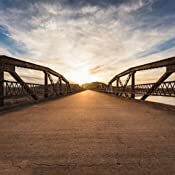 As most of my landscape photos are taken from a tripod, since I often take long exposures or multiple exposures for HDR, the IS will likely not benefit many of my photos. However, I will be glad to have IS when hiking and stopping to take a quick photo. For any single exposures, a tripod will no longer be needed. Build-quality of this lens is typical of most L lenses - excellent. 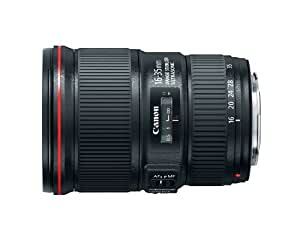 It is very similar in look and feel to the 24-70mm f/2.8L II or 24-70mm f/4L IS. The body is plastic instead of metal, but it has a very solid feel and likely allows the lens to be a little lighter and cheaper vs. using a light metal such as magnesium. 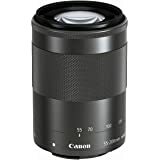 Like other recent Canon L lenses, it the hood features a finish that is less likely to show scratches and has a lock to ensure the hood cannot accidentally rotate. The hood on the 16-35mm f/2.8L II was very wide and took up a lot of bag space, so I often found myself leaving it at home. The hood on the 16-35mm f/4L IS is narrower, more like the hood that comes with the 24-70mm f/2.8L II. I predict I will actually be using the hood that comes with this lens. The fluorine coating on the front element will be a welcome addition to those that prefer not to use filters. Water and dirt wipe off much easier compared to lenses without a fluorine coating. I usually carry some Zeiss alcohol wipes to keep my gear clean. Remember that a filter is required to complete the dust and water resistance, so be sure to use a protection filter when using the lens in dusty or moist conditions. 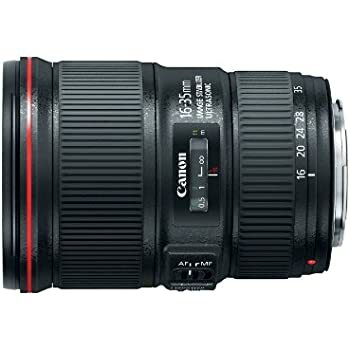 Those looking to stop motion, such as event photographers, may still want to buy the 16-35mm f/2.8L II, since IS is not going to replace that f/2.8 aperture. 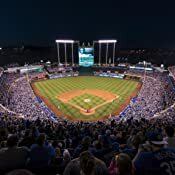 Otherwise the 16-35mm f/4L IS has better image quality, image stabilization, and costs less, so there's little reason to consider the 16-35mm f/2.8L II. 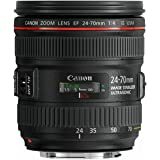 The 17-40mm f/4L lens is cheaper than this lens, but lacks IS and also suffers from poor corner performance and vignetting. While the focal lengths are similar, I would also prefer having the extra 1mm at the wide-end (which is significant at wide focal lengths) over the extra 5mm at the tele-end. 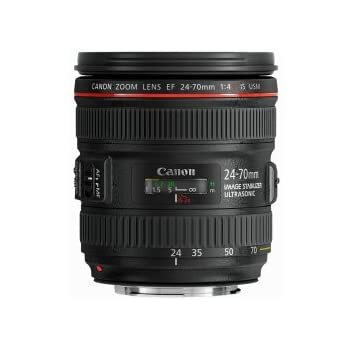 If you can afford it, buy the 16-35mm f/4L IS. I have long felt that an ultra-wide angle zoom lens that was fantastic for landscapes was missing from Canon's lineup of lenses. I am happy to say with the release of this lens, that is no longer the case. 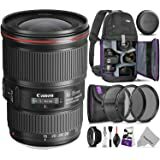 5.0 out of 5 starsAwesome lens!!! This is by far one of the sharpest lens Canon has ever produced! Except for the prime lens. It surpasses the 16-35 F2.8 II without a doubt. I'm so glad I purchased this lens instead of the F2.8 II. It's now my favorite walk-around lens. 5.0 out of 5 starsFlawless Lens! Before I start, i want to mention that i am by no means a professional and no where near one. I am just a college student who likes to occasionally go out with my buddies and take a few shots of the scenery we stumble upon. First thing i noticed was that the lens does not weigh much, it's actually fairly light along with my Canon 6D. Had no problems walking around with it and never felt the need to put it down because of its weight. This lens takes AMAZING photos. It's as simple as that. I usually have it set to auto iso and f/8 and walk around taking pictures of whatever i please. The pictures look amazing. You can go "tweak" them in Lightroom or Photoshop but that's if you want to, it's honestly not necessary as this lens already produces great, solid pictures. Daytime photos are also wonderful. Took a few with the sun right above my head and the pictures came out looking great. Took a few in direct sunlight and they also came out looking good. Again, im not a professional, so what may look good to me may not look the same for others. However, i know a good photo when i see one. Overall, I'm very satisfied with this lens and happy i bought it as soon as it came out instead of waiting it out and reading reviews about it. It's a great lens and should be in everyone's arsenal whether you're a professional or not. 5.0 out of 5 starsPhotojournalist's delight! UPDATE. 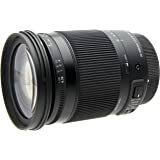 The 16-35mm focal lengths are some of the most useful zoom ranges available, ideal for architecture, landscapes, street photography, photojournalism, artistic effects, even environmental portraits when used properly. 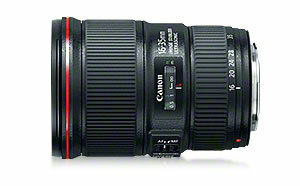 I've been a photojournalist for over 30 years and replaced my old 16-35 f/2.8 version 1 with the Canon 16-35 f/4L IS. I bought this new f/4 version because, frankly, my old 16-35 isn't very sharp (v. 2 isn't much better), especially at the corners. I shot some comparison tests at f/4 at 16mm, 24mm and 35mm. The new 16-35 f/4 blows the old 16-35 f/2.8 version 1 out of the water and, here's the kicker: sharpness, resolution, color fringing, resistance to flare closely matches my fabulously expensive 24-70 f/2.8L II. Even out of focus highlights appear crisper and better defined. 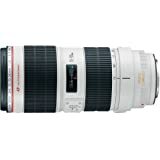 Build quality, handling and external appearance is nearly identical to the 24-70 f/2.8L II. The IS on the new 16-35 f/4 provides exceptional stability for hand-holding under low light conditions. 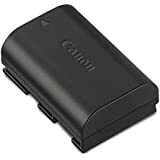 The relatively compact lens hood is less cumbersome than the old design and includes a pinch-style lens cap. Although few will miss it, the new design does not incorporate a gel filter holder on the rear like the old 16-35 f/2.8 version 1. I'm a photojournalist and prefer a f/2.8 lens to match my other lenses, but the optics on this new lens are so darn good that I'm going to slap that bad boy on one of my 5D III bodies and leave it there. 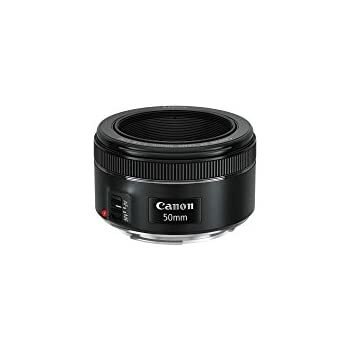 Canon deserves kudos for producing a truly sharp extreme wide angle zoom at a reasonable price. UPDATE: I've been using this lens for over two years now, including at several dismal low-light assignments. I haven't missed the f/2.8 aperture of my 16-35 f/2.8 (version 1) at all. No kidding. I've felt much freer to shoot wide open and the solid IS performance makes most low light work a breeze.